Tonight is the kickoff for the inaugural BlackCreek Summer Music Festival in Toronto. It launches with a concert by superstar Spanish tenor Plácido Domingo, along with soprano Sondra Radvanovsky. Concerts will include a mix of classical and pop performances such as James Taylor, Diana Krall, Tony Bennett, Helen Mirren, Jeremy Irons, James Earl Jones, Lorin Maazel, and the London Symphony Orchestra. Concerts take place at the Rexall Centre at York University. The festival continues throughout the summer with a break for the Rogers Cup tennis championship. Inaugural Season to Feature Symphonic, Pop, Opera, Jazz, Broadway, Country and World Music Concerts With Renowned Artists Including Plácido Domingo, James Taylor, Diana Krall, Tony Bennett, The London Symphony Orchestra, Conductors Lorin Maazel and Marvin Hamlisch, and Classical Concerts Featuring Spoken Performances by Dame Helen Mirren, Jeremy Irons and James Earl Jones. BlackCreek’s artistic advisors and programming directors have been working for the better part of one year to create a stellar line-up for the inaugural season, and at the same time cultivate long-term relationships with artists and their managers for the years to come. The internationally esteemed conductor, Lorin Maazel has been signed to a three-year contract as Artistic Advisor, Classical Programming. Marvin Hamlisch--the multiple Oscar, Grammy, Emmy and Tony Award-winning composer and pops conductor-- has been engaged to serve as BlackCreek’s Artistic Advisor for Broadway and Pops concert presentations. Opening night on June 4 will offer a concert by revered tenor, Plácido Domingo — making his first Toronto appearance in over a decade — and special guest soprano, Sondra Radvanovsky, internationally-acclaimed star of the Metropolitan Opera, accompanied by the BlackCreek Festival Orchestra and the BlackCreek Festival Chorus under the direction of Robert Cooper. Tickets for the Plácido Domingo concert, which are expected to be in high demand, will go on sale on Saturday, March 5, 2011 at 10:00 a.m., and can be purchased online at www.blackcreekfestival.com or by calling 1-888-860-7888. An annual summer residency by Lorin Maazel, has been established that will bring the maestro’s Virginia-based Castleton Festival Orchestra to Toronto as part of its expanding international profile. The Castleton series of two concerts will include an evening of music inspired by Shakespeare, highlighted by Mendelssohn’s incidental music to A Midsummer Night’s Dream, featuring narration by Academy Award®-winners, Dame Helen Mirren and Jeremy Irons. BlackCreek will also host an exceptional series of three concerts by the illustrious London Symphony Orchestra, which has not performed a classical program in Toronto since 1980. The series of three concerts, all conducted by Lorin Maazel, will include Beethoven’s Ninth Symphony featuring German bass René Pape in his Canadian debut, an evening of Russian composers and other favourites, and an all-American program featuring James Earl Jones narrating Aaron Copland’s Lincoln Portrait. The BlackCreek Summer Music Festival will also offer performances by outstanding musical entertainers from the worlds of pop, jazz, country and beyond. June 25th will bring an intimate evening with the quintessential James Taylor and his legendary band. The great troubadour and singer/songwriter’s warm baritone is among the most recognized voices in popular music and his guitar playing has established its own standard. On July 2nd Grammy-award winning vocalists and jazz legends, Diana Krall and Tony Bennett, will perform American popular standards in an evening that is sure to delight music fans of all ages. The two first toured together in August 2000; but this will be the first time these two artists have appeared together in Toronto. For BlackCreek’s premiere season, Marvin Hamlisch will conduct The BlackCreek Festival Orchestra and Chorus in an evening of “The Very, Very Best of Broadway,” starring Tony Award-winners Audra McDonald and Brian Stokes Mitchell, returning to Toronto for the first time since their Broadway triumph in Ragtime, together with Martin Short and other Broadway leading ladies and gentlemen to be announced shortly. Additional artists and concert programming will be announced in the weeks to come. Situated on the campus of York University, adjacent to the Black Creek Conservation Area, the Rexall Centre was built in 2004 as the main tennis venue of the Canada Masters tournament and is also the home of the Toronto offices of Tennis Canada and the Ontario Tennis Association. "The Rexall Centre is excited to host Toronto's next great entertainment attraction, the BlackCreek Summer Music Festival," said Michael S. Downey, President and CEO of Tennis Canada. "We can't wait to demonstrate the versatility of our facility in staging world class concerts. With rental proceeds benefitting our mission to grow tennis in Canada, tennis players around the country should also be very pleased that another form of live entertainment is coming to our tennis centre." For the BlackCreek Summer Music Festival concerts, the amphitheatre will seat between 11,000 and 14,000 spectators — including 41 private luxury boxes — depending upon seat and stage configuration for the individual performances. The open-view stage has been designed by celebrated architect and acoustician, Mark Fisher, who has designed all of the last decades’ Rolling Stones and U2 concert tours, as well as projects for Cirque du Soleil and the opening and closing ceremonies for the 2008 Olympic Games in Beijing. The venue will be highly congenial to symphony orchestras, while state-of-the-art lighting (for both the stage itself, as well as ambient lighting of the venue), along with up to six jumbo video monitors and sound reinforcement by top acousticians, will ensure that audiences can savour the music being performed from any seat. The BlackCreek Summer Music Festival is pleased to feature a web-based computerized ticket purchasing system provided by Outbox Technology whereby tickets are sold by the venue directly. Ticket purchasers simply click on an artist profile on the BlackCreek website and they are immediately directed to an easy to use ticketing page that allows them to select tickets based on an interactive seating chart showing available locations and price levels. Outbox Technology's intuitive, innovative and ground-breaking platform manages and processes multi-language and multi-currency world-wide ticket sales for Cirque du Soleil, as well the Montreal Canadiens, the Bell Centre in Montreal, and the Kodak Theatre in Los Angeles. Outbox recently entered into a partnership with AEG Entertainment, one of the world’s largest sports and entertainment presenters in the world, to provide the ticketing software for over 100 arenas and venues worldwide beginning in June 2011. 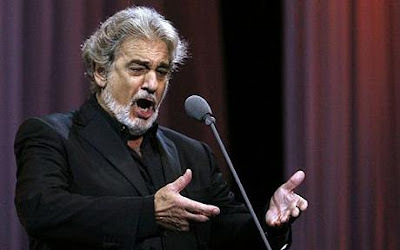 Tickets for the Placido Domingo concert will go on sale on Saturday, March 5, 2011 at 10:00 a.m. Tickets can be purchased online at www.blackcreekfestival.com or by calling 1-888-860-7888. The BlackCreek Summer Music Festival Box Office at the Rexall Centre will open for single-ticket sales on Saturday, May 7, 2011, with box office hours from 10:00 a.m. to 5:00 p.m. Monday through Saturday. Groups of 14 or more may receive discounts on single-ticket prices for select concerts. For further information please contact groups@blackcreekfestival.com. For general information, or to sign up for the BlackCreek Summer Music Festival alerts, please visit our website at www.blackcreekfestival.com.